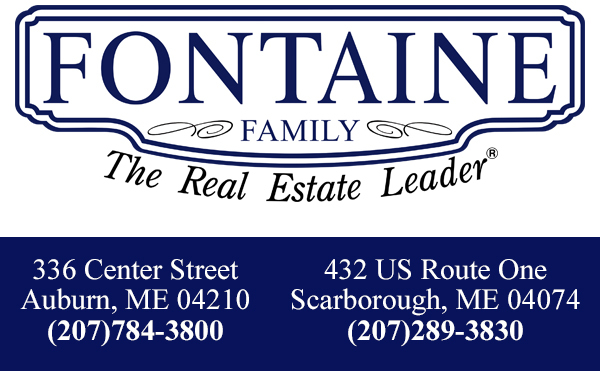 Looking to downsize or move to a low maintenance property? 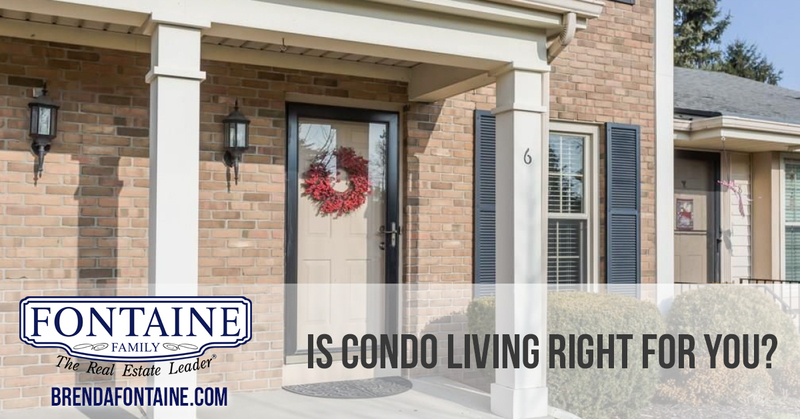 Weigh the pros and cons of condo living to decide if it’s right for you! While attending a condo open house, you’ll be surprised at the diversity of people there: first time buyers, investors, and of course, baby boomers interested in downsizing to a smaller space with less responsibilities. Condos consist of any of the following: low-rise buildings, townhouses, freestanding houses, duplexes, triplexes or “mixed use” buildings above offices or store fronts. They can be brand new, resell, also converted factories, mills or buildings transformed into condo living space. So what makes a condo different? You own the unit itself, but share common area outside and share expenses with others in the building for upkeep. The shared costs are part of what’s called a “condo association”, which could be either a board of directors or a property management company that makes the final say in the big decisions. the smart choice for you? Let’s weigh the pros and cons. Landscaping and Repairs: One of the biggest benefits and possibly the biggest reason some decide condo living is right for them is freedom from maintenance. Maybe you don’t have the time, the desire or ability. Some of these tasks include shoveling snow, mowing the lawn or repairing outside structures. Your monthly condo fees would cover these services. Shared Costs: With many of the major costs shared by law, a portion of your condo fees go into a reserve fund. Well managed properties would tap into these funds to cover major repairs like replacing windows or roofing without having to ask the owners to pitch in. Even when the reserve fund falls short, it’s not all on you to come up with the difference. The costs will be shared equally among owners. Ownership: No matter if you prefer a one level or 2-3 bedroom unit, condos allow you to own your own space rather than just pay a monthly rent. Also, you’ll reap the benefits of the common areas like pools, recreation rooms and gyms which provide a social opportunity to get to know your neighbors. Make It Your Own: Unlike renting, you’re free to decide what color to paint the walls, along with the freedom to put up decorations and renovate as you’d like. Price or Location: In some locations, it might actually be more affordable to own a condo rather than owning or renting a home. If you’re heart is in the city amidst the hustle and bustle a condo may be the only practical option. What you lose in space and possible higher condo fees, you’ll gain easy access to work, dining, activities within walking distance, public transportation and other amenities. Any form of home ownership has its risks and limitations, and condos are no exception. Price. Depending on where you live, the purchase price of condos can exceed that of a freehold property. Moving to a condo doesn’t necessarily mean downsizing to a cheaper home — especially if you’re up-sizing the luxury. Fees. Like other types of home ownership, the costs don’t disappear when you pay off your mortgage. Monthly condo fees can range from $200 to $600 depending on where you live, what’s included in the fees and what amenities you have. Perks like swimming pools and elevators can drive up the costs, and older buildings generally need more repairs and maintenance. Interior maintenance: You’re responsible for everything within your walls. Unlike renting, you can paint the walls and make renovations — but you’re also responsible for repairs inside your unit, replacing appliances and insuring your unit and belongings. Before you buy, make sure you understand exactly what you’re responsible for. Shared problems: Sharing costs can be a boon, but the downside is you pay your share for problems too — like if someone damages a common area. If your association is involved in a lawsuit — such as suing the developer over building faults — you’ll be paying legal fees too. Limited control: You have the final say within your own walls — but you might not get a choice when it comes to decisions like redecorating the lobby or what color to paint everyone’s front doors. It’s up to someone else when work gets done — like when your windows will get replaced. Choosing your forever home is big decision and there are risks and rewards whether you choose a condo or home — it all comes down to what you want and what limitations you can accept. – Get some expert help. A local real estate agent who have experience with condos can help you navigate the market and possibly spot a good deal. – Compare condo fees. Learn what isn’t covered rather than focusing on what is covered. – Ask about rules. Maybe you plan to rent out the condo when you’re out of town, just make sure it’s allowed under the rules. On the flip side, surely you would want to know if your neighbor was renting out their condo as well. – Look beyond the unit itself and be sure to ask the critical questions. Is the building well managed and maintained? Does it have a reserve fund? What work has been done in the past? What work needs to be done in the future? This is a good time to also enlist the help of a good home inspector. – Don’t be afraid to get involved. If you want your voice to be heard, consider participating in your condo association’s board of directors. It’s a good way share concerns you might have as well as your neighbors. Just remember you’re only one vote.